This is also my very first time guest designing and I was nervous but totally enjoyed the experience. When Jane told me the challenge I was so glad since I got some techniques that I haven't tried yet , now was the perfect moment. I made some cards I admit :) just because I wanted to find the perfect card for this challenge and this was the one I like it the best! 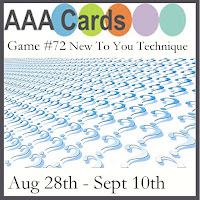 If you wandering what ''the new to me technique'' i used in this card is : embossing with dies! I always wanted to embossed with dies but since I got just the basic shapes and some words dies and no Sizzix silicone rubber i never try it. But i recently got this tag and cute floral die cuts from Create a smile and i also saw on You tube that people actually embossed with fun foam and i did it too . 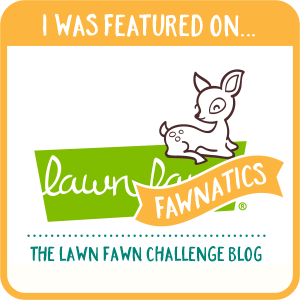 I have a quick post for today! Just wanted to share a card that I made using some Create a Smile goodies! 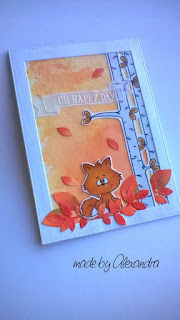 For this card I used the Pocket tag die set and inked up with brown , orange and yellow to create a fall look to my card and then on some watercolor paper I stamped and embossed the coffee cup from Create a smile -Coffee first and colored with Stabilo markers! The sentiment is from the same stamp set and I just fussy cut it! To finish up my card I added some Pretty Pink Posh sequins . Thank you so much for stopping by! Now go enjoy a cup of coffee! :) and have a lovely day! 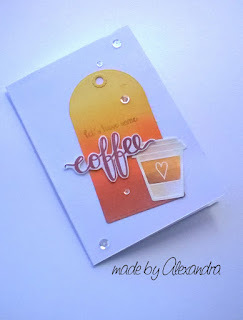 And if you are a coffee fan check out the Coffee Loving Cardmakers they are having some fun sketches and lot of coffee! 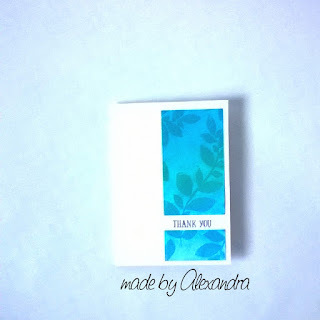 I want to share with you a card that I made with the freebie from Task for two Tuesday challenge blog. This little critters are just so cute ! I colored with Spectrum Noir Markers and the background is created with Salty Ocean distress ink and a green ink from my stash. For the frame I used a stamp set from Craft Sensations and fussy cut it. To finish up my card I added my sentiment also freebie from Task for two Tuesday blog and added some Pretty Pink Posh sequins. 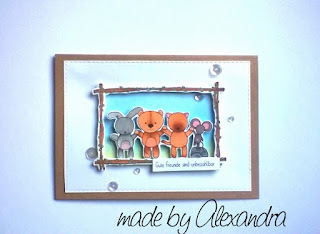 Today I wanted to share a card that I made for Gerda Steiner Designs Monthly Challenge using her freebie , which is a cuteness. For this card I was definitely into autumn mood :) When I saw this image my first thought was that I wanted him sitting into lots of autumn leaves! But since I don't have and dies that cut autumn leaves I made my own using Create a Smile - Pocket tag die. The background is made using the smooshing technique on watercolor paper with Stabilo Markers. From the same paper I cut my leaves but I wanted them to be more vibrant so I inked the a bit with orange , red and some green. The fox is colored with Spectrum Noir Markers but since I don't have orange or red tones I used some brown tones and the with a orange and red pencil I tried to add some details. The trees and the sentiment are from Avery Elle - Woodland Wonders. And that is my card for today! Thank you so much for stopping by! Have a wonderful day! I want to share a card that I made and was inspired by the challenge on Tic - Tac -Toe Challenge and I used Word Dies - Sparkle- Color blocking. For my card I masked the portions that I wanted to ink blend and just added my colors creating colr blocking! 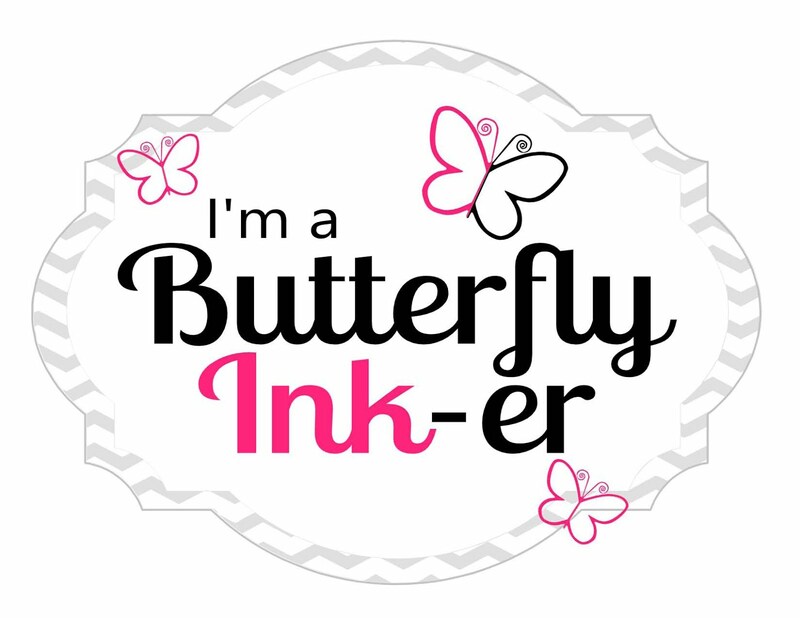 The pink ink is from Simon Says Stamp - Teeny Bikini and the black one is just a black ink from my stash. For the word die I used Fancy Hello from Poppy stamps and to add a bit of dimension I cut 2 from white cardstock and adhered to the gold glitter cardstock . To finish up my card I added some Pretty Pink Posh sequins and added some foam tape to the panel and adhered to my card base . Thank you so much for stopping by ! Have a lovely day! I saw the Distress lifting technique a while ago on Jennifer McGuire YouTube Channel and I wanted to give it a try! I got the Clustered Leaves cling stamp from Create a Smile and thought that was the perfect time to try the technique. I inked the panel with Salty Ocean , Mermaid Lagoon , Peacock Feathers then inked the Clustered Leaves stamp with Versa Mark and embossed with clear embossing powder . Then I took a brush and with clean water I tried to remove some of the ink, the dried with a paper towel and let it air dry. I wanted to keep the card simple and just added a sentiment from Avery Elle - Woodland Wonders Thank you so much for stopping by ! Have a great day! Today I want to share a very cute and fun card with you! This weekend I got my order from Create a Smile and I made this interactive card ! Is my first spinning card that I made , but I found that I easy and very fun too make! 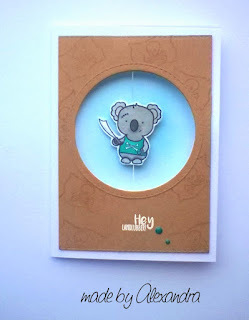 The cute koalas are from the stamp set All hands on deck from Create a Smile and I color them with Spectrum Noir Alcohol Markers! For the front panel I stamped the pirate flag with Versamark on kraft but didn't use any embossing powder since I just wanted a ton on ton impression! The sentiment is from the same stamp set and I embossed with white WOW embossing powder. To finish up my card I added some enamel stickers from Create a Smile and inked blended the interior of my card with High Dive ink from Simon Says Stamp! I have a card that I wanted to share today with you! The images for this card I colored some days ago for The daily marker 30 days hosted by Kathy Racoosin and since then I wanted to make this card , but just didnt't turn out how I wanted. Sometimes when you feel that something doesn't turn out as you want you just walk away from it and come later :) it helped me to see what I didn't like and what I wanted to change to my card! And finally I got my card done and I was happy with ! 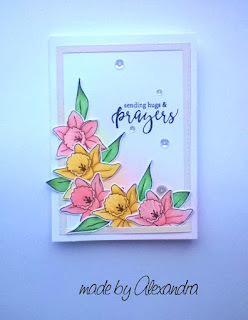 For this card I used Simon Says Stamp - Friendship Blooms which I set that I absolutely love! Those flowers are so pretty and love love the font on this stamp set! I colored my flowers and leafes using Spectrum Noir Alcohol Markers . To add a bit of interest I ink blended a pink and a yellow ink in the background to match with the flowers and to ground everything I added a frame. 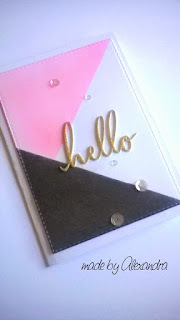 To finish up my card I added some Pretty Pink Posh sequins, and my card was ready!